UKFast Christmas Appeal: How Can You Help? We’ve all got that special Christmas memory that makes us feel warm and fuzzy inside, but for many people across Greater Manchester, the holiday season isn’t always filled with joy. There are 48,000 children living in poverty throughout Manchester and Salford, which means Christmas can be a time of struggle and great anxiety for many families who can’t afford to give their little ones a present to open from under the tree. For these children, those Christmas memories won’t make them smile in years to come. That’s why, this season, we’re making it our special Christmas mission to give these kids a day to remember. Working together with Wood Street Mission, UKFast is giving a wide range of gifts to thousands of children living in poverty during the holidays. Wood Street Mission is a children’s charity helping families in Manchester and Salford who need practical help to meet their children’s day-to-day needs and to improve their life chances. 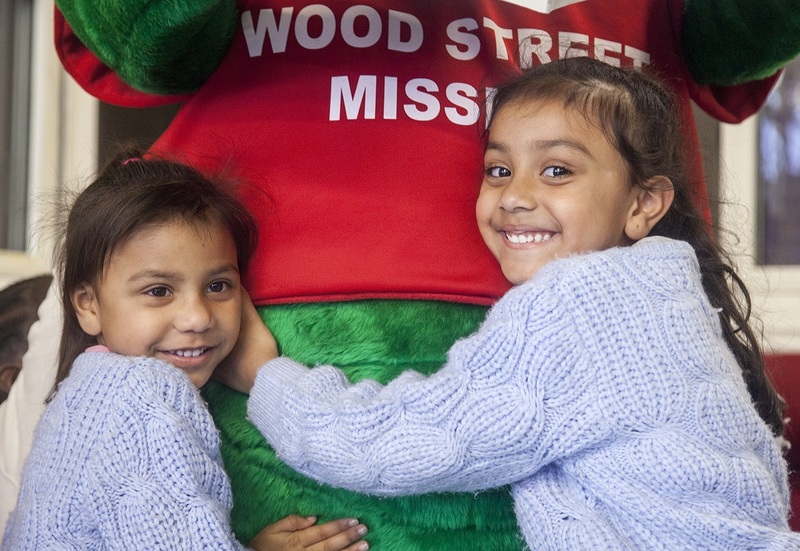 Last December, Wood Street Mission gave 11,000 gifts to 3,677 children aged 0-14 years old. We’re determined to beat this figure and help 4,000 kids this year, giving them something wonderful to wake up to on Christmas morning. This incredible service tackles something very close to our hearts and we want to help as much as possible to make children’s dreams come true. From 12th November to 14th December 2018, we’re inviting people to donate new, unwrapped gifts for children aged 0-14 and drop them off at UKFast Campus in Hulme. You’ll be able to select a tag containing a child’s name and age from our Christmas tree at reception, attach it to your gift and leave their present in our Santa’s sleigh. At Christmas, parents and carers can visit the free Wood Street Mission Christmas Shop close to Deansgate in Central Manchester to pick presents their children would most like from your donations. We hope we can contribute to this fantastic selection and spread the joy this festive season. Not sure what to buy? 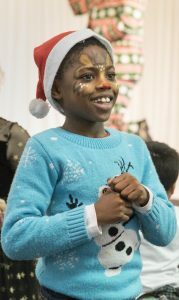 Why not hold a Christmas Jumper Day to raise funds towards the appeal or choose to make a financial donation which could help us select a gift for one of the Wood Street Mission children. You could also donate your time by volunteering to help wrap Christmas presents down at Wood Street in Manchester and help send out gifts to the kids who need them the most. We’d like to take the time to thank you in advance for your donation and giving a child a truly special Christmas this year. Have a very magical time.